Since 1949, the Enginequest family has helped the engine rebuilders solve their production problems. 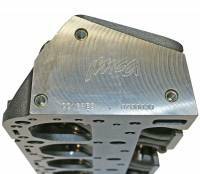 EngineQuest IMCA Legal Cast Iron Cylinder Head - IMCA Sport Mods and Hobby Stocks Spec Head - Bare - Intake Runners: 167cc, Combustion Chambers: 76cc, Intake/Exhaust Valve: 1.94", 1.50"
EngineQuest Vortec Cast Iron Cylinder Head - (Bare) - SB Chevy Vortec 1996-2002 - Intake Runner: 170cc, Combustion Chamber: 64cc, Intake/Exhaust Valve: 1.94", 1.50"
Pit Stop USA is The Online Motorsports Superstore! EngineQuest (EQ) specializes in unique, out-of-production or hard-to-find engine parts for all things automotive including import or domestic and gas or diesel. 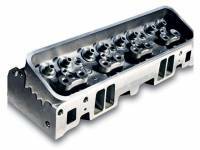 We know heads, crankshafts and parts, and we can tell you which should be new, and when reclaimed or remanufactured is best. Since 1949, our family has helped the engine rebuilders solve their production problems. They are known for our knowledgeable staff, and have a longstanding reputation for quality products. 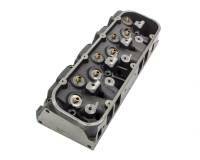 We feature Enginequest IMCA Legal Cast Iron Cylinder Heads, Enginequest IMCA Sport Mods and Hobby Stocks Spec Cylinder Heads, Enginequest Performance Cast Iron Cylinder Heads, Enginequest Vortec Cast Iron Cylinder Heads, Enginequest Performance Cast Iron Small Block Chevrolet Cylinder Head, Enginequest Performance Cast Iron Small Block Chevy Cylinder Head and more at low everyday prices!